Hi lovelies, I am so excited to get this Innisfree VIP Kit. I think this is definitely the best VIP Kit I have received from Innisfree so far. 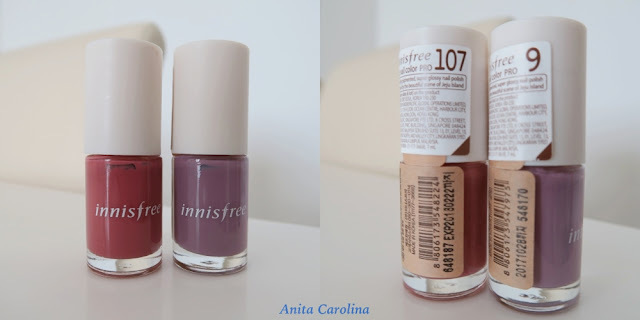 Innisfree is a Korean brand that I feel is the most generous with gifts and samples. And so far I have liked many of their affordable and effective skincare and makeups. Thanks Innisfree! This September 2016 VIP Kit contains 5 products of Jeju Lava Seawater and a 10% promotional coupon for this skincare line. This range is a new skincare line which will be launched in coming Oct 1st. 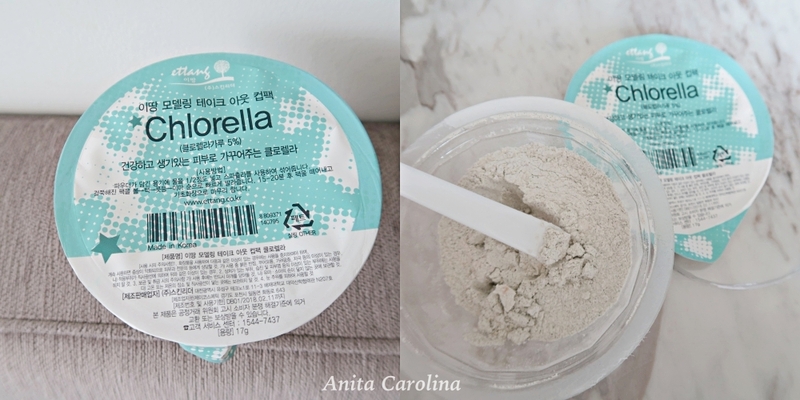 This skincare line claims to provide and boost hydration and moisture, and also prevent anti-aging with precious minerals and pure lava seawater from Jeju. Correct order to use: Skin - Essence/ Deep Essence (choose one) - Lotion - Cream. Packaging: I love the blue tone, they look expensive and elegant in the blue bottles. Product Effectivity: I have tried them for a few days and I quite like all of them. They are lightweight and not very sticky for my oily skin and indeed my skin is well hydrated after. Smell: They smell like most of Innisfree products, that fresh tangerine lemony smell. Price: I believe it is ranging from RM 70-140. For those of you who have tried out this range, please share with me what you think of them in the comment box below. I shall talk to you soon, bye-bye. This post is dedicated to girls out there who are just like me who are living miles away from US or Canada. I guess many of you have experienced difficulties and inconvenience to get your hands on beauty products especially drugstore products that are only available in US or UK. And today I would like to share with you guys where I normally buy most of beauty products that I can't find here in Malaysia or Indonesia. They are always my first stop to find brands that are not available in my country. And I have placed numerous orders with them and I am always satisfied with the service. Why do I recommend them? Firstly, they ship to almost all countries in the world with a very low shipping cost (USD 2.6) and it is automatically free if you order above USD 20. The shipping usually will take around 2-4 weeks. You can find many coveted brands such as Beauty Blender, Cover FX, Makeup Geek, Mario Badescu, Anastasia Beverly Hills. What you have to know: The prices are 15-20 percent higher than original prices but I think it really compensates for the free shipping. I like this UK-based online shopping for its wide-range products selections from makeup, fragrances, vitamins, supplements and much more. Also it provides free shipping for orders above RM 116.40, not bad right. Anyway if your order is less than RM 116.40, you will pay only around RM 12-18 for shipping which is still very very affordable coming from halfway across the world. Normally orders will arrive within 3-4 weeks. What you have to know: Currency options can be changed on top left. This store ships directly from USA, if you are looking for brands like Milani, LA Girl, LA Colors, NYX, Ardell then you are at the right place, search no more! The prices are very similar as the prices available in US and the shipping is also quite affordable. They charge based on weight. I remembered I paid around USD 12 for shipping fee (4-5 weeks) for 2 lipsticks, 4 pairs of lashes, and 3 concealers that probably weighed 1 KG. What you have to know: They are currently down and will return by Fall 2017. Hello my friends. Today I would like to share with you all my favourites product in this fabulous month. 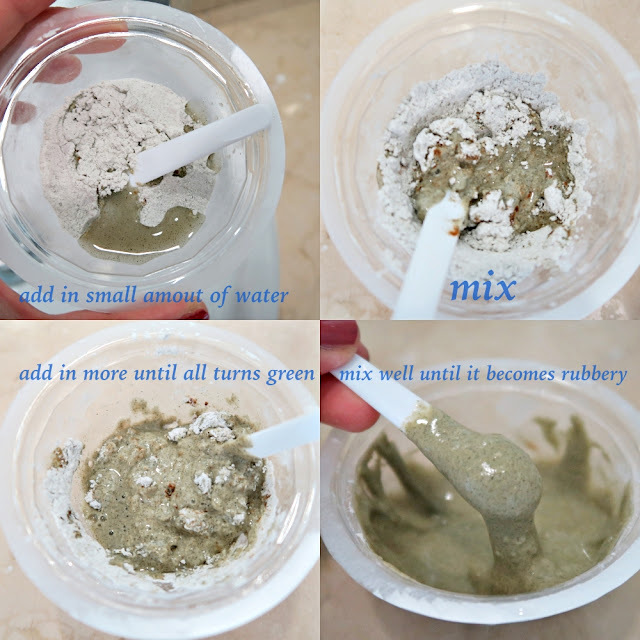 A moisturiser for oily and acne skin. BEWARE for someone who doesn't like cooling product. This product is extremely cooling like an ice cube on your face. A fragrance free and light SPF 50++ sunscreen with jelly water texture. It also brightens up my face with its light and pastel green color. This is my favourite shading product of the month. A travel friendly stick for contour and highlight face, texture is cream almost powdery. It is also very easy to apply and draw on precise point. Love this mini size brush, the bristle is so soft I literally couldn't stop touching it. I use this to blend the contour duo product. I got both of the Contour Duo and this brush from qoo10.my for only RM 70. Super recommended! A tool similar to beauty blender, only much more affordable (RM 23). I like the curvy stamp shape giving me a very firm grip on hand. I usually use this stamp with cushion foundation, liquid foundation. A benzoyl peroxide acne gel that effectively heals pimples without making my skin flaky or dry. Another good product with steal price tag (RM 10-15). Available in Watson. Recently I am in love in these kind of soft shades. These are light violet and dusty rosy pink. They are so feminine and pretty. That is all bout my favourite in August. Hey girls, wats up, hope you are having fabulous and amazing time this summer. I cannot believe that we are already at the end of August. Summer is all about sun and those tan skin, but however sometimes when you live in Asia which has summer for almost 365/365, the heat is just too much for your skin. That is why today I am going to share with you a very easy but very refreshing facial mist that is perfect for summer everyone can easily make at home. 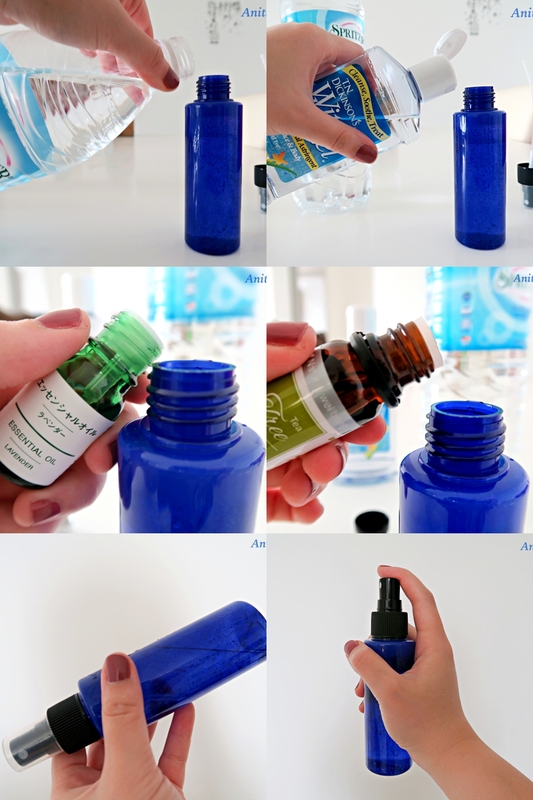 Lastly, add in 3 drops of Lavender Essential Oil and 2 drops of Tea Tree Essential Oil into bottle. Hope you have a good time and enjoy your refreshing summer mist! Korea's skincare brands never seem to stop creating more and more innovative products. Seriously, it's hard to keep up with the whole trend sometimes. 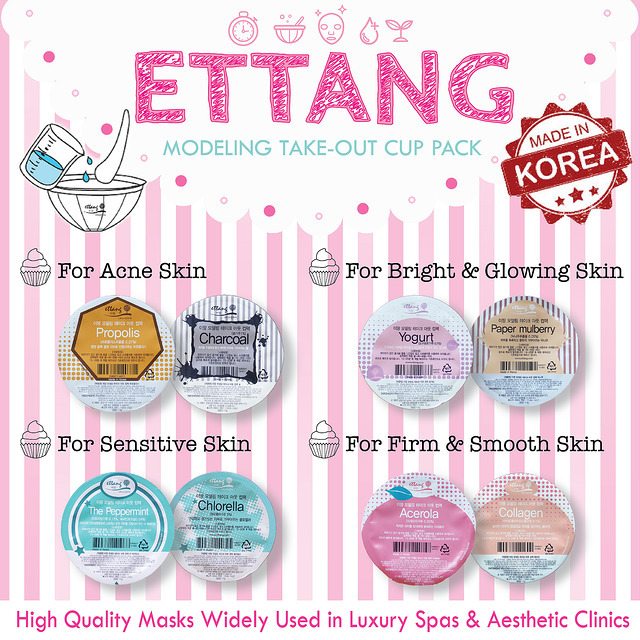 Recently, I came across this modelling mask from Korean brand called Ettang. It is basically a one-time usage of rubber mask packed in a disposable cup. All we need to do is to add water and mix the powder, it will turn into a rubbery paste and the mask is ready to use. Indeed, it sounds very convenient isn't it? 1. Similar quality of those from high aesthetics facial. 2. Contain natural aroma oil, free from chemical and parabens. 3. Shrink pores, contour face, moisten our skin. 4. Easy and convenient to use. The one I will be reviewing is Chlorella. The reason I chose this one is because chlorella will purify my oily, congested complexion and at the same time will relax my skin and restores its vitality. 1. 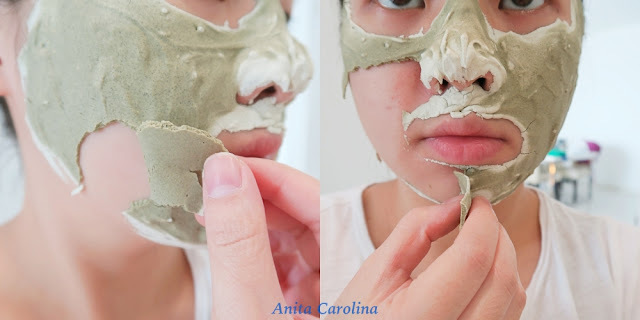 Calcium sulfate is to solidify the mask and trap moisture to our skin. 2. Chlorella powder is good for detoxify our skin, full of vitamin A and C to brighten skin and reduce scars. 3. Glucose acts as humectant, an ingredient that increase the water content of the top layers of the skin by drawing moisture from the surrounding air. 4. Allantoin is an ingredient that temporarily protects injured or exposed skin from harmful or annoying stimuli, and that may provide relief to such skin. 5. Aloe extract is to soothe and moisturise skin. 6. Portulaca Olearacea extract is to brighten skin, and improves wrinkle. parts cannot be peeled, just rinse them off. 1. Mask cannot be peeled off in one go or one big piece. 2. Messy peel off and stick onto hairline. 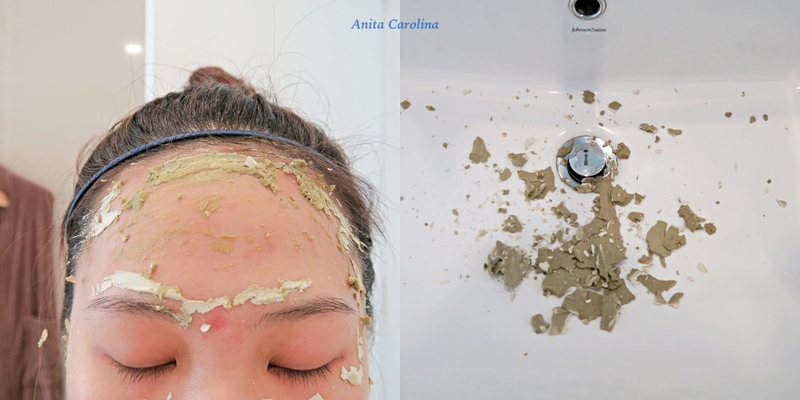 I think this mask deserves a 3.5/5 because it is a decent and effective mask for who doesn't mind a bit of work of mixing and peeling. Also, they have 10 choices of mask we can choose from depending on our skin conditions. Have a nice weekend peeps! Hi ladies, today I am going to review the newest cushion foundation from famous Korean brand, Etude House. To be honest, I don't know why I stopped using my beloved Innisfree Long Wear Cushion. It suits my oily, acne-prone skin and didn't break me out. I guess I was just bored with it (makeup junkie's problem) haha. 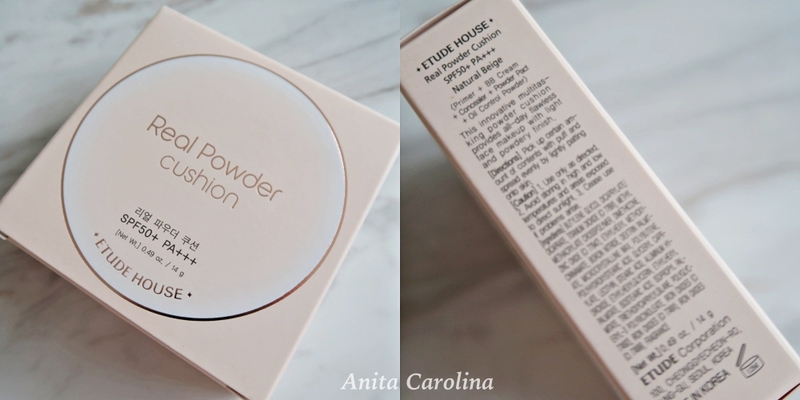 Then recently, I came across this Real Powder Cushion and I could say I am in love with this babe. 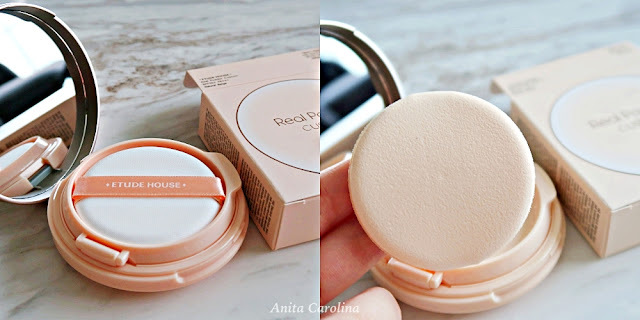 CLAIMS: Real Powder Cushion is an innovative and multi-tasking powder cushion foundation which provides all-day flawless with light and powdery finish. 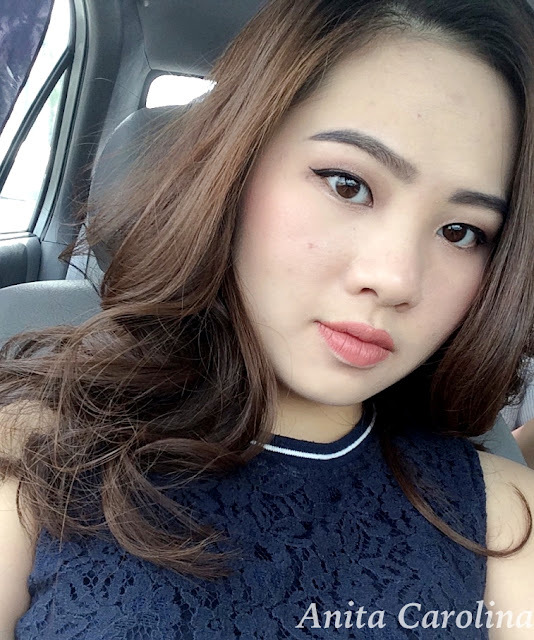 wearing real powder cushion in natural beige. PRODUCT: I notice that the cushion is quite hard and solid when I try to press using the puff. I do not like the puff comes from Etude House. I feel like it is quite stiff and absorb most of the product. I prefer the one from Innisfree. But nevertheless, the foundation itself feels very velvety and powdery with 50 ++ spf which are up to the claims. Also, it looks natural on my skin with 2 layers of application. The coverage is light to medium but certainly not full as some blemishes could still be seen. But it does emphasise some dry flaky areas on my face. My face began to shine after 3 hours of wear. And I need to blot on my T-Zone during the day to take away the shininess. But fortunately, it doesn't break my sensitive skin out. So I would give (4/5) rating. SHADE RANGE: They have 3 shades available: Light Beige (lightest), Natural Beige and Honey Beige(darkest). Mine is in Natural Beige (medium). I think their shade are more cool tone compared to Innisfree Long Wear Cushion (shade 23) which appears more yellow tone on me. But in overall, this shade looks the most natural on my fairly fair Asian skin. PRICE: This Cushion is RM 65 in hermo.my or RM 145 in Etude House retail shop. It think RM 65 is a fair price since we do not get any refill of the product nor the puff. Save $$$ by online shopping girls. RECOMMENDED: for oily, or combination skin from fair to fair to medium tone skin who likes long wear base product or matte finish. Hello gurls, forgive me for being lazy with my blogs these days, I am currently getting caught up with my study. I'm getting certified in Aesthetic, the training is super intensive but very interesting. I'm learning a lot and understand skin better now. Stay in tune and be patient with me kay as I would share my tips about it in very near future with you guys! I have been back from Japan for almost one month now, and I have tried quite handful ( NOT ALL YET) of the products that I purchased from Japan. And today I would share these amazing products that I feel might work magic on you guys too. In Japan, Sun Protection is a huge thing, I encountered many women keep re-applying sunscreen in the toilet. Also, they have like gazillion choices and brands you can choose at Japanese drugstores. For me, I was quite reluctant before to protect my skin but earlier this year, I realised that I started to get some dark spots on my hands and face. But all the sunscreens I had were so greasy, making me not comfortable to wear it daily. But finally, God has answered to my prayer, I have tried numbers of sunscreen for years, but never did I find a sunscreen that goes like this one. This one is super light, absorb so fast, non-sticky at all, and the price is super affordable. It can be used on face and body. It is now my favourite sunscreen. I use this under my makeup, and it makes my make-up looks extra glowing. Totally THUMBS-UP! This can be purchased at drugstore in Japan such as Matsumoto Kiyoshi that spreads throughout Japan. One of my friends recommended me this product, claiming it works wonder on her skin on reducing the oiliness and blackheads on her T-Zone. I bought this in Daimaru Department Store. This product is not a drugstore product and the price is 3.500 Yen ($ 35) for 60 ml, quite pricey. When I went to buy this, I had to take number because the people at this ALBION counter are super crowded. I could see all the girls who bought this brand were local Japanese, and their skins look so great and flawless. This essence is very runny like water, no colour, slightly minty smell, and fast absorbed. They recommend me to pour some to cotton and wipe on T-zone area, but I prefer to pour some on fingers and apply directly on my face without wasting the product on cotton. I use it after toner and before serum. I could see that this product controls the sebum well, and also helps to clear pores, and get rid of the blackheads by loosening them. But, do not expect all blackheads will be gone with this essence as skin does not work that way. I fall in love with this cleanser at first try. It smells literally like green apple. It consists of AHA (Alpha Hydroxy) which helps to exfoliate skin gently. There are small granules in this foamy wash that does not feel rough to skin. And most importantly, it cleans my skin really well without feeling dry and stretchy, also with this cleanser, I get that really clean feeling which I love. 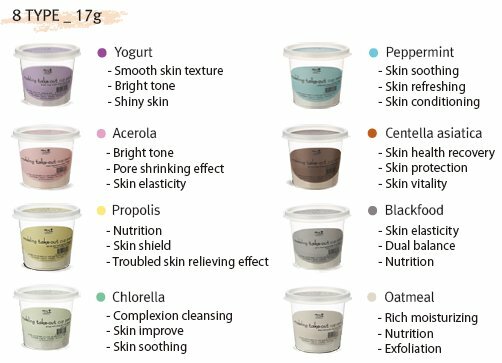 I saw two versions of these cleansers, mine is with the green cap for oily and combination skin. I believe there is another one with white cap for dry and sensitive skin. You can find this in any drugstore in Japan too. I have used this cleanser in the past year when I purchased it in Hong Kong, I liked it so much back then. When I went to Japan, I just have to buy some of it to re-stock. It comes out in gel form, but will transform into fluffy and soft mousse. It can remove light make-up, also it clears pores from impurities, and gives mint refreshing sensation. It will also leave your skin hydrated by the plant extract. I like to use this gentle cleanser when I feel like my pores are clogged, or after a full and heavy make-up day, and when my skin is super sensitive and red. This cleanser is available at COSME STORE in Japan. I would say this cleansing oil is no less more effective and nice than the super expensive Shu Eumura's. DHC is one of the trustable Japanese brands that are quite affordable. I purchased quite numbers of their products and I found almost all of their products are very effective and reliable. This Cleansing Oil is a make-up remover for face and eyes. But I only use it on my face as it would create a layer on my eyes, making my sight blurry after wash. Just a pump is enough for whole face, give it a good massage and then add some water to palm to emulsify the oil into milky solution and rinse well. 2 in 1 brow product to achieve those brow-wow! This is seriously my no joke HG brow product, I have used like 15 of it. Every time I switch to something else, I always go back to this one. It is a very versatile product to achieve any brow looks I want from soft bushy to those full set heavy brows in under 5 minutes. It has 2 sides, one is liner, and another is the thin crayon type, very similar to Brow Wiz in my opinion. I use the liner tip to draw outline of brow first and then still use the liner to fill in my brows, and then I switch to crayon part to darken the tail area. My tip to get those soft and natural looking brows is to use a finger to blend the liner immediately after application before it dries and sets on the front part of the brows. The shade I use is Greyish Black. They do have another shade which is Brown Black. I purchased this before in Singapore in Tokyo Hands, a store specialised in Japanese imported products. There're two It peeled my and my crack heels off so nicely and completely. I will review thoroughly on this product on another post. Keep tune.